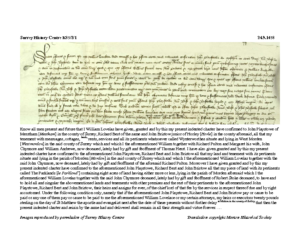 Surrey History Centre holds documents that trace the descent of some freehold properties in Morden from the mid-15th century until 1602. 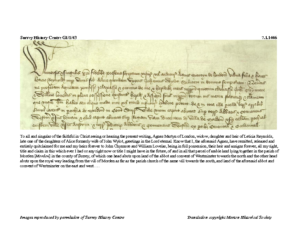 The earlier history of these properties can be discovered from entries in the manorial court rolls. 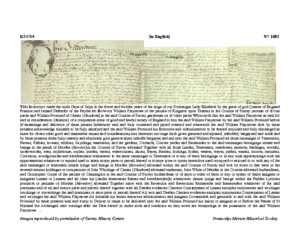 Click on the link below to download the transcripts without images. 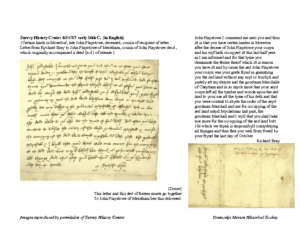 The initial transcriptions and translations were by Peter Hopkins, but have all been checked and corrected by Dr Mark Page. 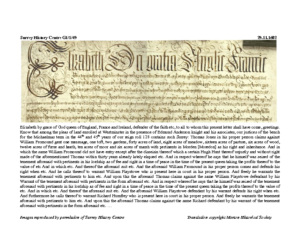 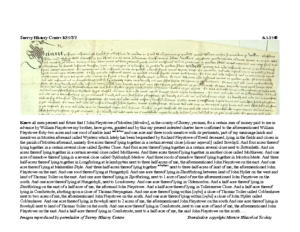 This entry was posted in Resources, Manorial Documents, 10 Morden Freeholds, Resources, Manorial Documents and tagged in manorial documents.